Similar Icelandic Thor's Hammer was on the locality: Fossi. 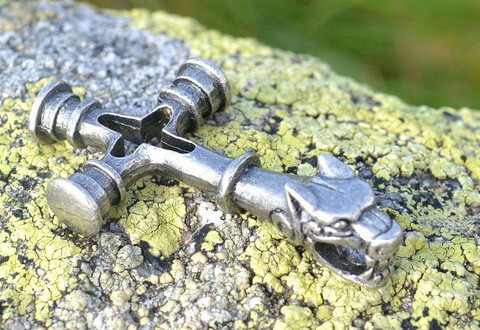 Our reproduction is more animalistic - Fenrir, the Viking wolf. Size: 2.2 x 4.1 cm. Material: tin alloy. Similar zoomorphic pendants were found also in Norway.